Myrtle Beach is kicking off festival season early in 2017, as the Horry County Fair returns for its second year starting April 7 and going through April 16. Hosted at the Myrtle Beach Speedpark, the event drew thousands in its inaugural year and proved to be a local success. 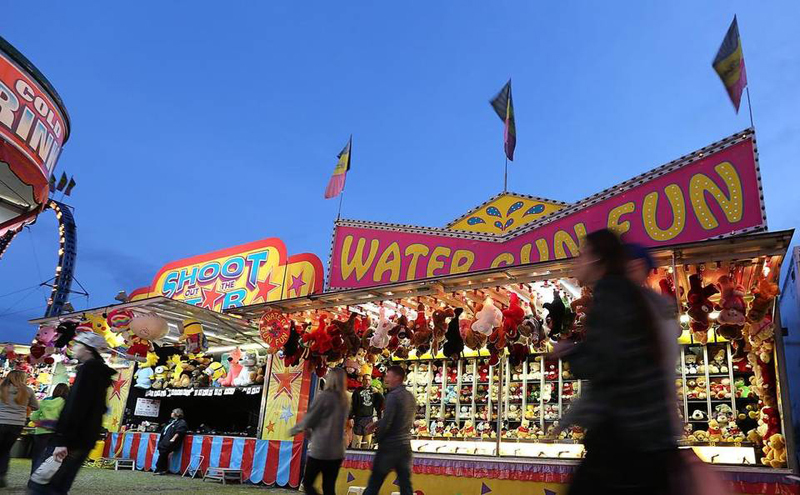 If you miss the smell of funnel cakes, the roar of carnival rides, and the joy of all things fair-related, then you definitely will not want to miss out on the Horry County Fair! The Horry County Fair will feature all of the time-tested standbys that we cherish: carnival games like ring toss, tragically delicious foods like elephant ears, gyros, and the outstanding fried Oreo, and brightly-lit rides that make us question exactly how gravity works. You'll find all of this and more at this Myrtle Beach fair. Furthermore, get ready for pig races like you've never seen before. The Horry County Fair promises that Robinson's Racing Pigs will leave you squealing with excitement! Animal lovers can also indulge in the free petting zoo located within the fairgrounds. Interact with goats and other farmyard favorites as you meander through the zoo. Choose the days that are best for you and your group, as the Fair offers up daily promotions, including Student night (April 7), where students celebrating Spring Break who are under 17 receive free fair admission before 5 p.m. If you're a worker in the hospitality industry, present your employee I.D. for free admission before 5 p.m. on Sunday, April 9. Don't miss out on $2 Monday Funday, where admission is only $2 and unlimited ride wristbands are just $10. Be sure to check out the Fair's main website at http://www.myrtlebeachspeedway.com/hcfair/ for more daily specials! Make a visit to the Horry County Fair this April. After an extremely successful first year, this highly-anticipated returning event is sure to make for a fun night out with the family or even a cute date night. There's no better way to kick off your Myrtle Beach vacation rental this spring than by enjoying an evening at the Horry County Fair!